Americans are fascinated by the Royal Couple. Even Hollywood biggest celebrities were star struck by the newlyweds on their recent visit to Los Angeles. Southern California was proud to host Kate on her first visit to the United States. Their itinerary included the BAFTA Brits to Watch gala in Beverly Hills, a visit to an enrichment program called Inner-City Arts near my old middle school in Skid Row, and a charity polo match in Santa Barbara with a meal prepared by Giada De Laurentiis. I love Giada’s dishes, and when she revealed the mini lasagna recipe she prepared for the Duke and Duchess of Cambridge I knew it would be a dish worth making. These lasagnas are rich and creamy, making the mini portion perfect. The sweet corn and mascarpone add delicious sweetness to this savory dish. I scraped every last bit of lasagna out of my ramekin. It was just that good. 1. Arrange an oven rack in the center of the oven. Preheat the oven to 375 degrees F. Butter 6 (10-ounce) ramekins. Set aside. 2. Bring a large pot of salted water to a boil over high heat. Add the pasta and cook until tender, stirring occasionally, about 8 minutes. Drain. 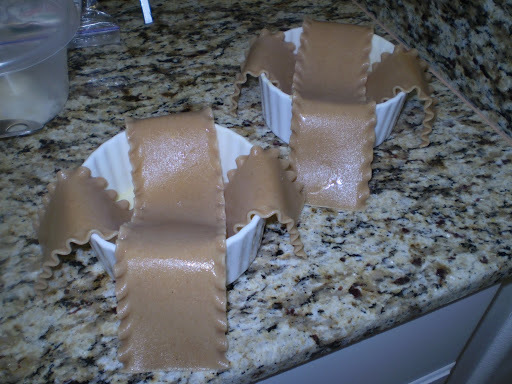 Using 2 cooked lasagna noodles in an “x” shape, line each ramekin, pushing the noodles gently into the bottom of the ramekins, allowing any excess pasta to overhang on the sides. 3. In a food processor, blend the corn, cream and garlic until chunky. Add the mascarpone, 1 cup of the Pecorino Romano cheese, the lemon zest, salt, and pepper. Blend until smooth. Add the basil and pulse until just combined. 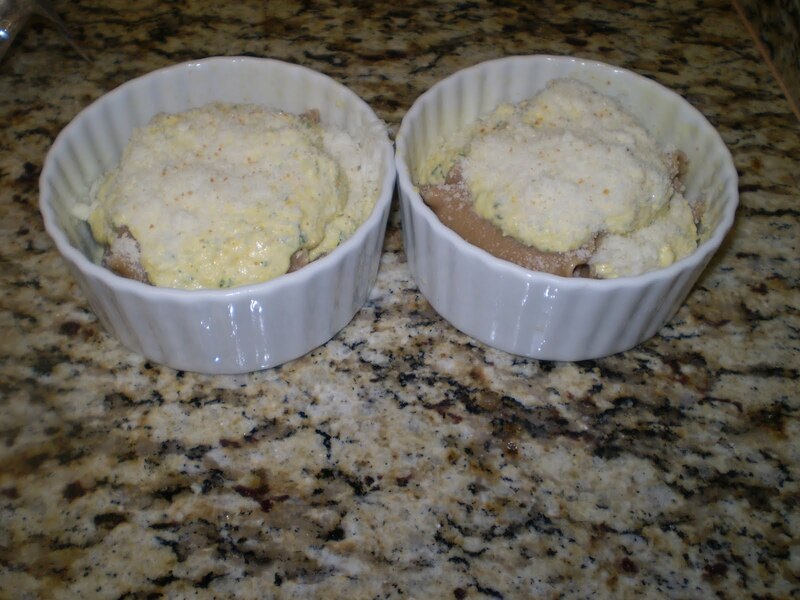 Spoon 1/4 cup of the filling into the bottom of each ramekin and sprinkle with 2 tablespoons of the Provolone. Fold 2 overhanging pieces of pasta over the filling. 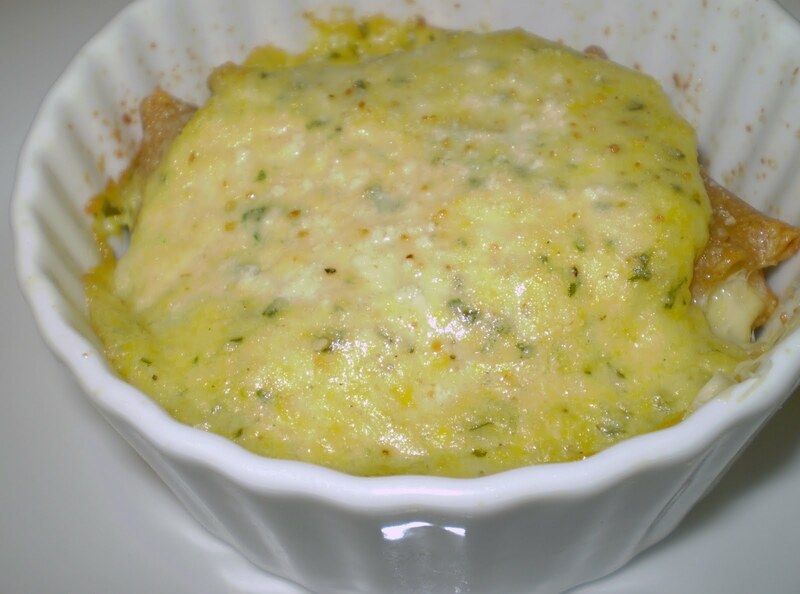 Add another 1/4 cup of filling to each ramekin and top with another 2 tablespoons Provolone. Fold over the 2 remaining overhanging pieces of pasta. 4. Spoon any remaining filling on top of the pasta. Sprinkle the tops with the remaining 1/2 cup Pecorino Romano and drizzle with olive oil. Arrange the ramekins on a baking sheet and bake until the tops are golden brown and the filling is bubbling, about 25 to 30 minutes. Cool for 10 minutes.